One way to transition to a lifestyle of healthy eating is to gradually add whole foods to what you already eat. 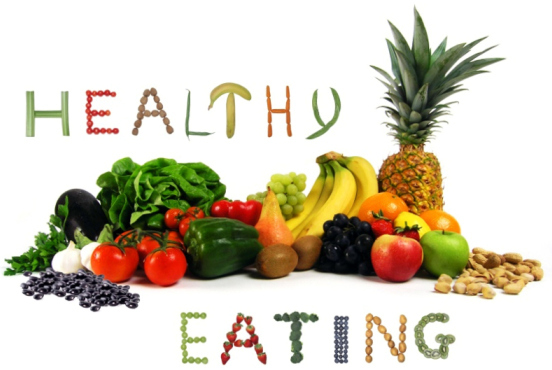 Whole foods are fruits and vegetables, grains, beans, nuts and seeds, that have not been processed. For example, at breakfast, add a banana, blueberries, blackberries, strawberries or raspberries, or if making eggs, add some spinach. At lunch add a cup of vegetable soup or a salad. At dinner add an extra serving of vegetables. In between meals, consider eating a piece of fruit (apple, orange, peach, pear, nectarine), raw vegetables (carrots, celery, jicama, red bell peppers, tomatoes, cucumber) dipped in hummus, or a small handful of almonds. The advantage of eating whole foods is that your body gets all of the phytonutrients that are unique to fruits and vegetables and other whole foods, in their original form. Whole foods also contain fiber that not only helps with digestion, but also gives you a satisfying feeling of fullness.